This article was originally published on April 15, 2011, in the Shenzhen Daily. In some ways, life in Shenzhen can be divided by a date near the end of 2004. Everything before that was "Pre-Metro" and after that, "Post-Metro." The opening of our subway system changed everything. 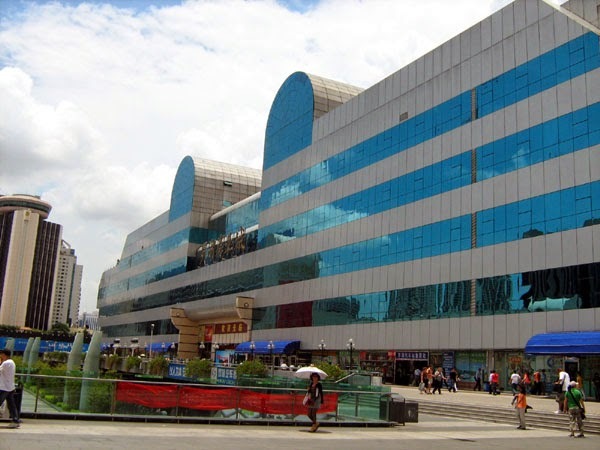 So, when we look at "old school" shopping, we find that Shenzhen's "Big Three"-- Luohu Commercial City, Dongmen Pedestrian Streets, and the Huaqiang Bei area--were all there before the Metro lines opened (and so were a couple of other war horses still campaigning). 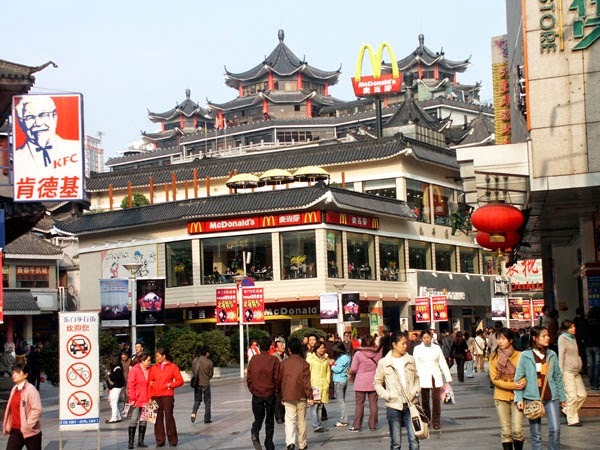 I have written about Luohu Commercial City before. The mammoth building to the east of the Luohu Train Station plaza is a great place for curios, tea, clothes (including on-site tailoring), accessories, and some electronic goods. A little north from there (at Laojie Station on Metro Line 1) is the venerable Dongmen area, a shopping destination for some 300 years. Though it does boast some excellent modern department stores, the real prize is the literally thousands of small shops in the area (by one count over 3,000!) featuring trendy clothes for young people. There are also cultural goods like calligraphy, porcelain, and paintings. Finally, there's Huaqiang Bei (at Huaqiang Lu Station on Metro Line 1). While it's justly famous for its electronic goods, don't miss the clothing in places like Women's World and MOI. 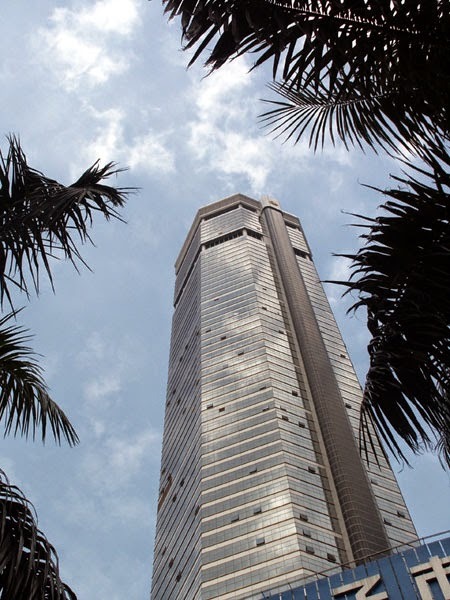 Deserving "honorable mention" in the Old School department are King Glory Plaza (at Guomao Station) and Citic Plaza (near Kexue Guan), both of which pre-date the Metro, and feature up-scale shopping and some dining. See this article for the newer shopping centers.